AC OULU VS TPS TURKU The first match of this week’s Sportpesa Megajackpot is a Finnish Ykkonen clash between Oulu and TPS Turku. Oulu come into this match following three league wins on the s..
GODOY CRUZ VS GREMIO The first game of this week’s Sportpesa Jackpot is a Copa Libertadores clash between Argentina’s Godoy Cruz and Brazil’s Gremio. Godoy Cruz come into this mat..
Four unbeaten teams are to meet in the semi-finals of the Confederations Cup. Germany against Mexico today . But first up are Group A winners Portugal with an on form Cristiano Ronaldo who take on Cop..
JUVENTUD LP VS CA CERRO The first match of this week’s Sportpesa Megajackpot features Juventud hosting Cerro for a Uruguayan Primera Division clash. Only five matches have been played .. 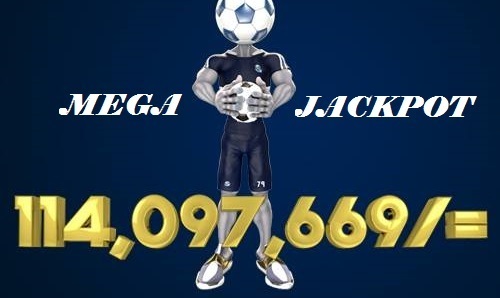 The past one week has been our best week in terms of jackpot predictions where we managed 11/13 for the midweek jackpot and 15/17 for the Mega Jackpot. Fortunately or unfortunately, the Mega is back t..
Kindly LOGIN into your account or REGISTER to receive both the midweek and mega jackpot predictions for this week and our daily premium predictions KRISTIANSUND VS AALESUNDS The first..
One of the most anticipated matches this season, derby of the round and last match this Tuesday Liverpool vs Chelsea will be a perfect betting opportunity and a real treat for all football f..
Last match of the round in Spanish Primera, Las Palmas vs Valencia, for sure will not be the best pick when it comes to football, however major bookmakers provided plenty of different games t..
Ivory Coast may be the defending champions but almost unquestionably have gone backwards since winning the 2015 competition in Equatorial Guinea. With Morocco an improving force, they look capable.. This match was originally due to take place over the festive period but was postponed due to bad weather. Neither club would have been that upset by that, given the volume of fixtures at that time..
Kindly LOGIN into your account or REGISTER to receive both the midweek and mega jackpot predictions for this week plus our daily picks and analysis NAUTICO PE VS CRB AL The first matc..
Winning the Mega Jackpot is quite hard and mostly will depend on Luck. Winning the Bonuses on the other hand is quite pretty easy. This week we are aiming to get 15/17. As usual, we give you the team ..
Its no hidden secret that SPORTPESA HUNYONYA, but HUNYONYA those who have poor betting strategies and habits. Smart gamblers are making a kill while YOU continue losing day in day out. We will show yo..
Its plain simple. Predict all 17 games correctly and you walk away with a whooping KSHS 130 Million. Predict 12 and you are in on the bonus. As we always do, we will provide analysis and prediction of..
After kick off four weeks ago, ligue 1 is at it again this weekend. We are yet to discover whether the exit of Zlatan will prevent Parsi Saint German from claiming the league for a record fifth c.. The first game of the Spanish La Liga is here with us and as usual, Sportpesa Tips will give predictions for all the games this season beginning with Gameweek 1. Who among the three giants of Spanish .. It is finally back. 10 games this week starting on Saturday. Here are our predictions for Gameweek 8 Italy Serie A Matchweek 8: Saturday 15:00 Napoli vs AS Roma btts 18:00 Pescara vs Sampdoria.. It is finally back. The biggest league in the world is back after a three months break. As usual, we will have the prediction of all the 10 games in each midweek with a focus on Sportpesa odds. Yo.. This week's Sportpesa jackpot stands at kshs 16,000,000+ after it was two weeks ago. This week provides another opportunity for winning the jackpot and as usual, we will provide th.. 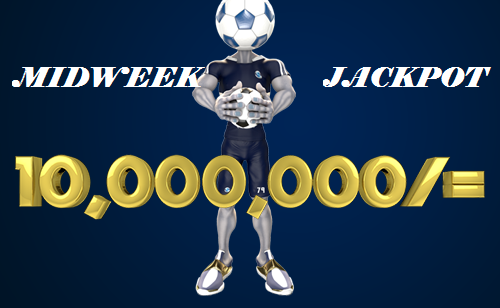 The Sportpesa Jackpot currently stands at Kshs 20,448,813 and is on its fourth week rollout. On this post, we provide a detailed analysis of all the 13 games in the jackpot that includes the..
Flamengo come into this match after suffering a humiliating 4-0 defeat at the hands of Corinthians. However, Flamengo can take some positives from the defeat as they were not all that bad. Currently, ..
Seattle Sounders seem to have been affected much by the departure of Obafemi Martins and they are now struggling. Currently, Seattle Sounders are in position 18 in the Major League Soccer after pickin..
Caio Junior took over as the Chapecoense coach when they were hosting Santos and unfortunately, they were hammered 3-0. When they face Corinthians, Caio Junior will be hoping to register his first win..
Santa Cruz’s current form is the worst in the Brasileiro league, having lost their last 5 league matches. This has landed them at second-last position in the league standings after garnering 11 ..
HELSINGBORG VS ELFSBORG Eleventh game of this week’s sportpesa Jackpot. Helsingborg’s form has deteriorated in the recent past and they have moved from 2 successive draws to back-to-back ..
KONGSVINGER IL VS AASANE FOTBALL Twelve game of this week’s sportpesa Jackpot. Kongvinger’s fans thought that their team was destined for the better things when Kongvinger won 2-0 against..
GRANKULLA VS JYVASKYLA Seventh game of this week’s sportpesa jackpot. Grankulla head into this match after registering successive league wins against league leaders KPV and FC KTP. Grankulla ar..
GOIAS VS ATLETICO GO Fourth game of this week’s sportpesa Jackpot. Goias’ unbeaten run of four matches was halted by the 1-2 loss to CRB in their previous match and they will be see..
SOGNDAL VS MOLDE Fourth game of this week’s sportpesa Jackpot. Sogndal are undefeated in their last 6 league matches, but they have only managed 2 wins in these matches. If they could only turn..
TROMSO VS HAUGESUND The third game of this week’s sportpesa jackpot. Tromso’s win against Lillestrom in the six-goal thriller at Arasen Stadion has boosted the players’ morale and c..